The probe into the killing of Russian opposition politician Boris Nemtsov has been completed and the suspected perpetrators of the hit will soon start preparing for trial, the Investigative Committee spokesman told the press. “Today, the suspects within this criminal case were told that the investigation is over and in the nearest future the suspects and their defense attorneys will start acquainting themselves with the case materials, in accordance with the Criminal Procedure Code,” Interfax news agency quoted Vladimir Markin as saying on Friday. The suspects are five men from Chechnya and they all face charges of a contract murder within a criminal group and illegal possession of firearms. Markin added that the committee had started a separate case against suspected organizer of the hit Ruslan Mukhutdinov and his yet-unidentified possible accomplices. Mukhutdinov was put on international wanted lists in November 2015 after a Russian court found enough grounds to issue an order for his arrest. In late December 2015, the head of the Investigative Committee Aleksandr Bastrykin told the press that his agency had pressed final charges against the suspected murderers of Nemtsov and the suspected organizer of the hit. He noted that the suspects’ complicity in the killing had been confirmed by over 70 forensic experiments, testimonies of witnesses, CCTV records and many documents seized at the suspects’ places of residence. Boris Nemtsov was a high-placed government official under President Boris Yeltsin who in mid-2000s turned into an opposition politician occupying a seat in the legislature of central Russia’s Yaroslavl Region. 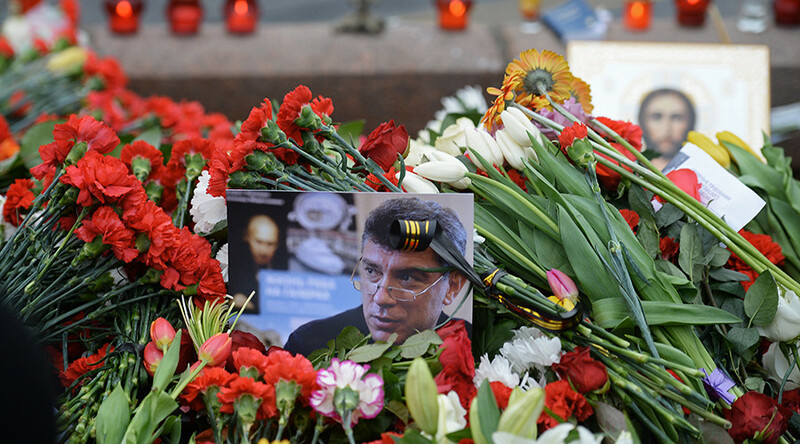 In February 2015 Nemtsov was shot dead on a Moscow street near the Kremlin. The assassination prompted a thousands-strong march in the Russian capital, with demands to find and punish the killers. In early March, police detained the four men suspected of carrying out the attack and according to Russian mass media, one of the detained, Zaur Dadaev, told investigators that the murder was revenge for Nemtsov’s “negative comments on Muslims and Islam,” in particular, the public condemnation of Islamists who killed the journalists from Charlie Hebdo magazine in France. Dadayev retracted his testimony a short time later and now denies any involvement in the case, along with the rest of the suspects. Nemtsov’s relatives have wanted the case to be re-qualified as ‘the murder of a state official’, but a district court in Moscow denied this request, saying that law enforcers had failed to find any ties between the killing and Nemtsov’s political activities.